Are you interested in migrating their S5, Older S7/HMI or Rockwell PLC5 to a NEW S7-1200/S7-1500/HMI? Please use this website and associated migration guides found on the right side. 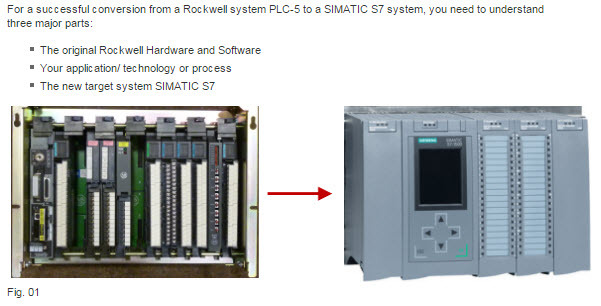 Guides are available for S5, S7-200/300/400, Rockwell PLC 5, HMI and HMI software.